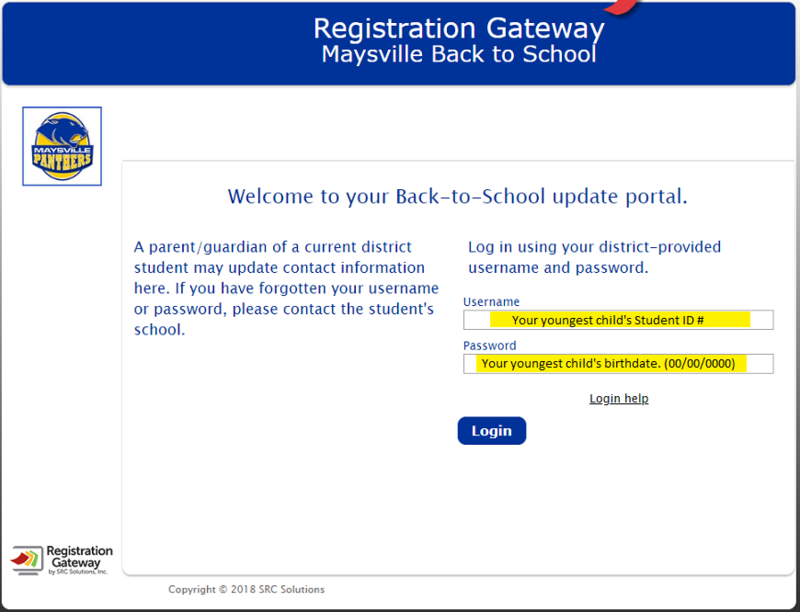 Welcome to the Registration Gateway Student Update site for returning Maysville students. We hope this online system will streamline our communications and reduce the amount of paperwork parents need to complete at the start of the new school year. Parents will be able to update demographics, emergency contacts and medical information, review student handbooks and acknowledge the technology usage agreement and other district policies. Failure to complete the student update will result in your student losing all internet privileges. Access to the site will open on August 1st. Parents are asked to complete the update information by midnight, September 30st, at which time the site will become unavailable. It will take approximately 15 minutes to complete. The update process is best done on a laptop, desktop, or chromebook. 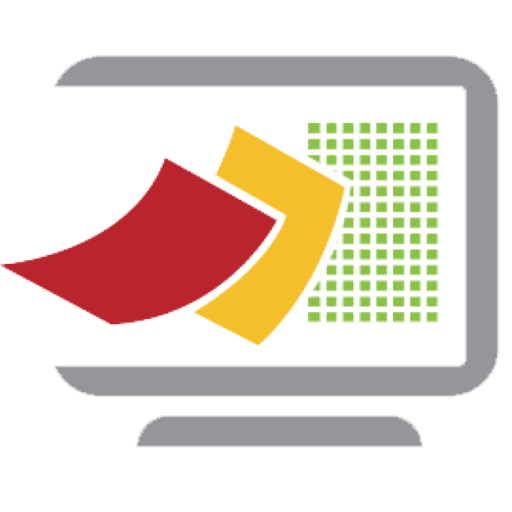 Mobile devices (cell phones, tablets) may have difficulty with screen resolution. Updating of student information can be done at home on your own computer or, if needed, parents can come to the Administrative / Pre-School building to complete the process. 1. Parents will log in using the following unique username and password. 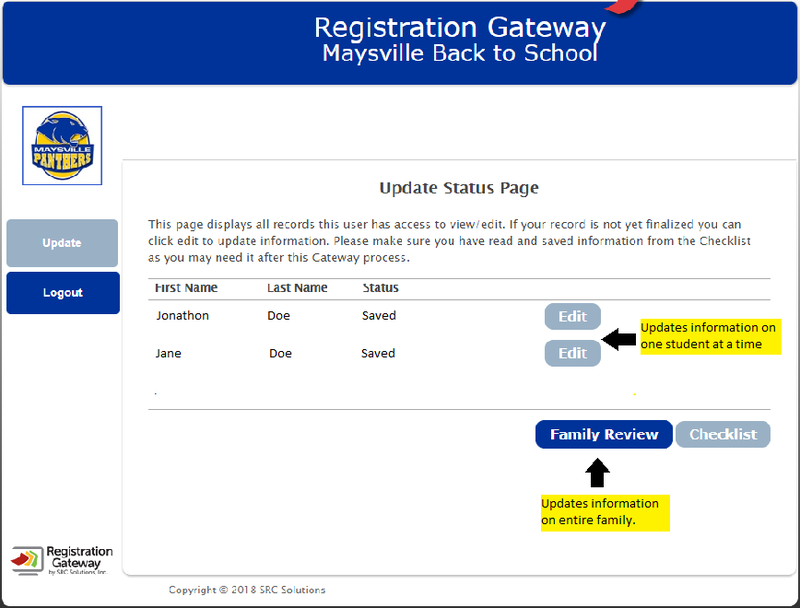 The Family Review button will allow you to review the information more quickly and will copy certain information from one student to the next. The Edit button allows you to change a specific student’s information. After the update is completed, be sure to click the “Saved” button. It will indicate that the record has been “Sealed”. If the record is not sealed, your student’s information will not be updated. Once the student record is sealed, you will no longer be able to edit any information on this student. If you have information that needs to be changed, please contact the building office. Certain updated information may require new documents for the school office. A “Checklist” is provided at the end of the update to review which new documents need to be provided. Any student missing from a family group can be accessed by using that student’s ID and birthdate to complete their update information. If a student is missing from a family group or you have students who need to be removed from a family group, please contact Maureen Dennis at 740-453-0754.